Many of us have our bak kwa favourites. 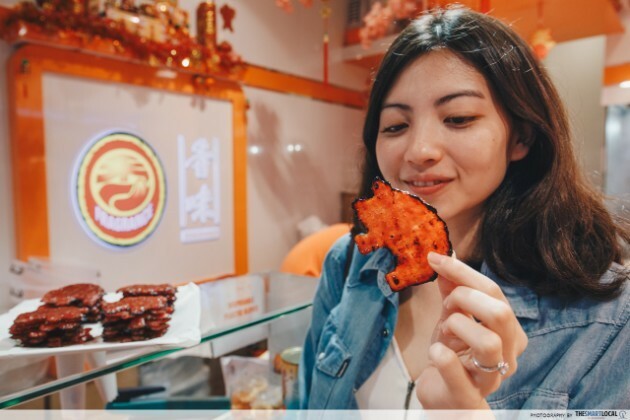 Pop a slice of your favourite bak kwa in your mouth and revel in the taste: the best bak kwa taste best crisp and slightly charred, chewy with an undeniably meaty flavour. Bak kwa is a comfort food we look forward to every year. 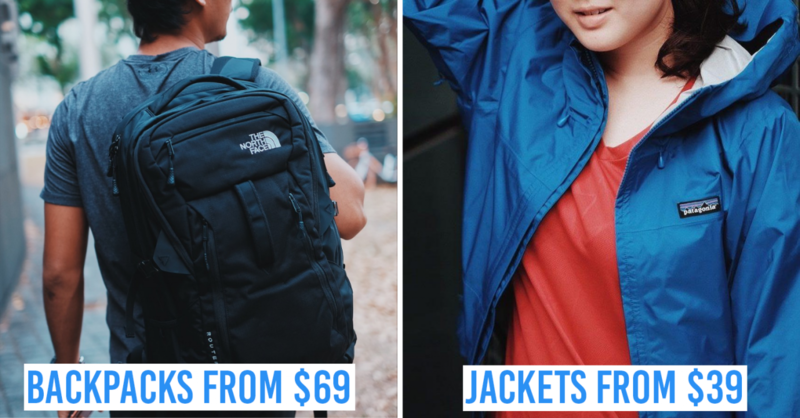 That's why we go back to the same trusted brands every time CNY comes around - we want the same consistently high standard we know our favourite brands offer. 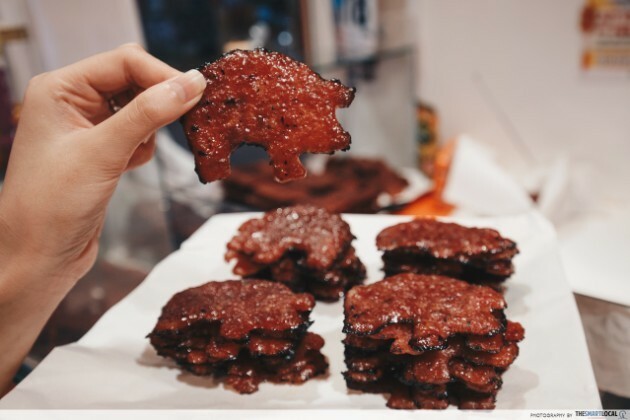 Because let's face it: bak kwa's calorie count means we need to be picky about the bak kwa we eat. 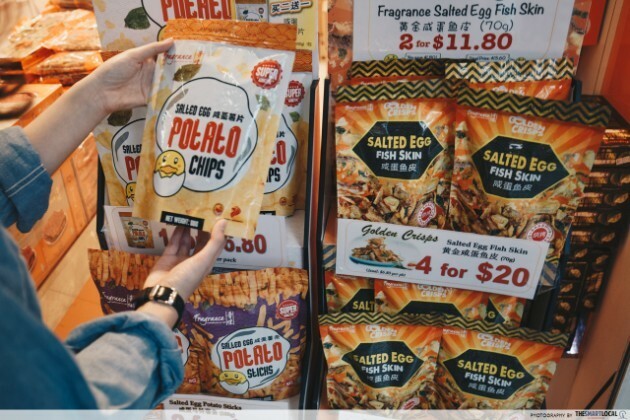 Plus, with a brand as established as Fragrance innovating yearly and providing premium types of bak kwa, there will always be new reasons to head down to one of their 36 outlets islandwide and pick up something new for your relatives. 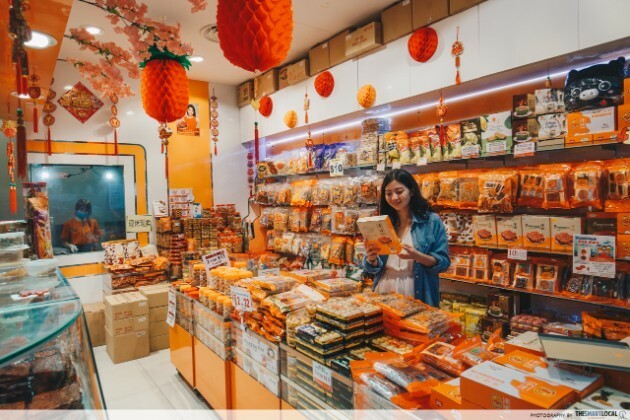 For those looking for the best CNY steals, head over to Fragrance's factory outlet at Woodlands for assorted Bak Kwa, meat flosses, and steamboat ingredients at discounted prices! Details at the end of the article. Much like KFC’s secret ingredients, we love how Fragrance uses 18 nutritious Chinese herbs in all their Bak Kwa products. 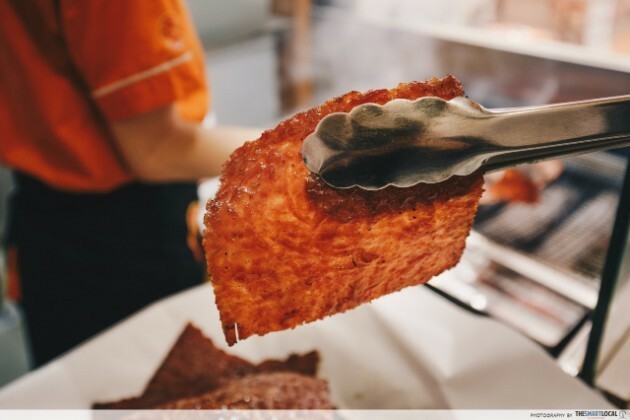 Their signature Sliced Tender Pork Bak Kwa (1kg for $54) is Fragrance's bestseller through the years, and is a safe bet for anyone unsure of which bak kwa to get for your favourite uncle/auntie. 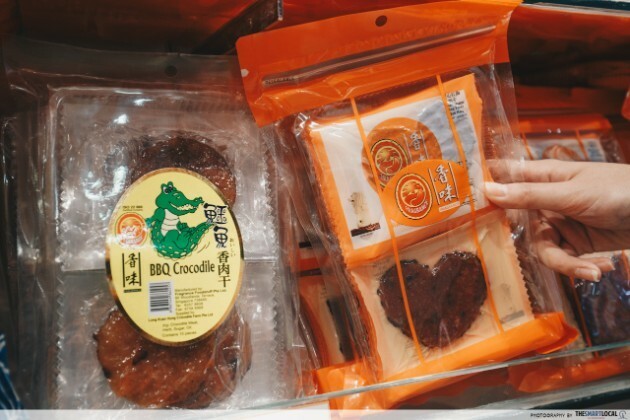 And if you're more health-conscious, some of their bak kwa - for example their Heart-Shaped Red Yeast Bak Kwa ($11.20 per package) - even contain cholesterol-lowering red yeast! You can purchase 1kg of packed bak kwa at any outlet for a complimentary gift box. This is valid for all bak kwa except Strip and Minced Meat Bak Kwa, while stocks last. 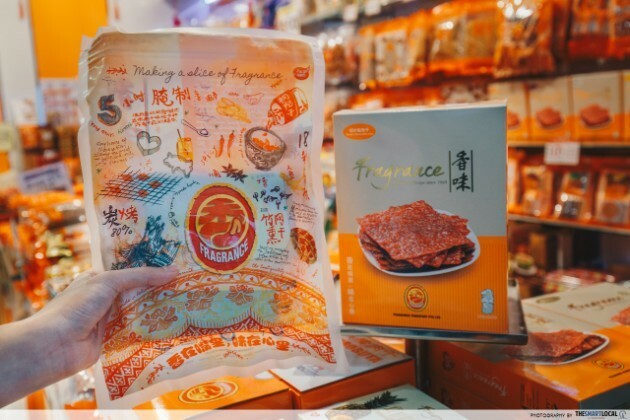 Fragrance regularly innovates and produces new bak kwa flavours, and one of the exciting Bak Kwa flavours you can try this CNY is their Kurobuta Bak Kwa (1kg for $68). 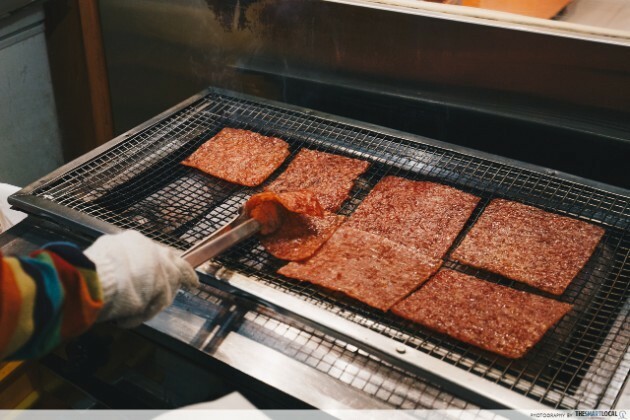 Kurobuta Bak Kwa is made from Berkshire Pig, and is well-known among pork lovers to have a higher percentage of fat, which keeps their meat tender and juicy. 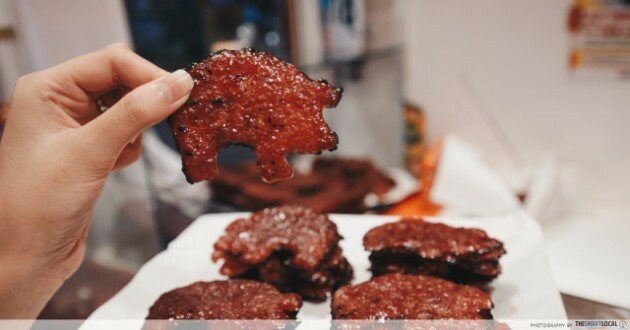 This means that if you have a particular distaste for dry and tough meats, you know which bak kwa to bring home. And while for most of us, pork bak kwa is a tasty CNY staple, there are those who enjoy braving the unknown. 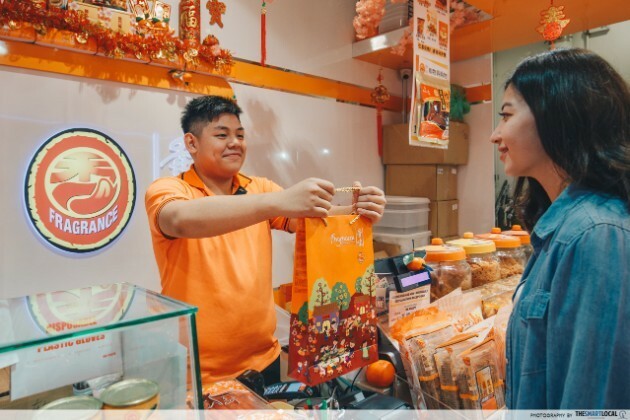 For these people, Fragrance has a huge variety of different meats and flavours, from Crocodile, Turkey, and Beef bak kwa, to pork bak kwa with flavours like Chilli, Honey, and Crispy Almond. Each bak kwa purchase is available in premium box packaging. 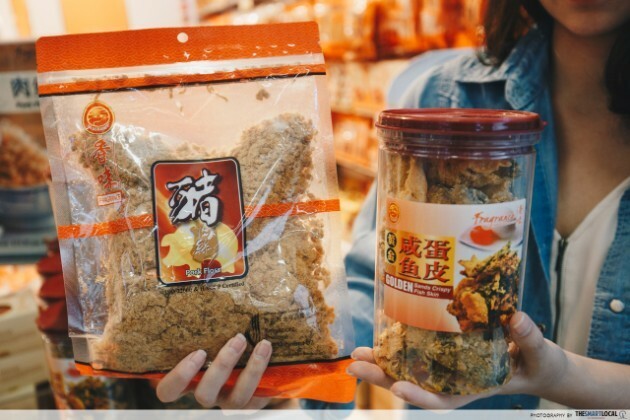 These packaging not only look gift-ready, but are available in vacuum-packed packaging to keep the bak kwa tender and lock in the taste. 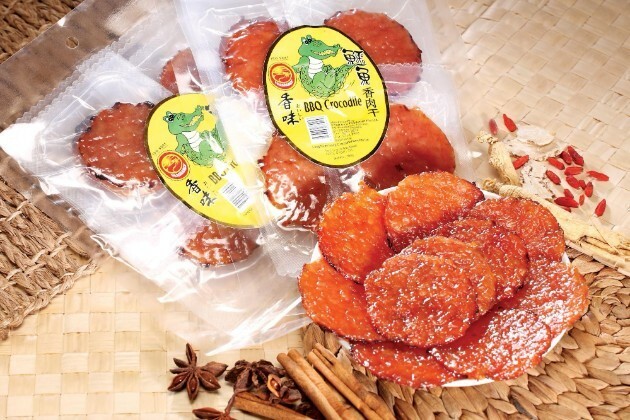 On top of bak kwa, Fragrance also has meat flosses and other finger food like crackers and candies. 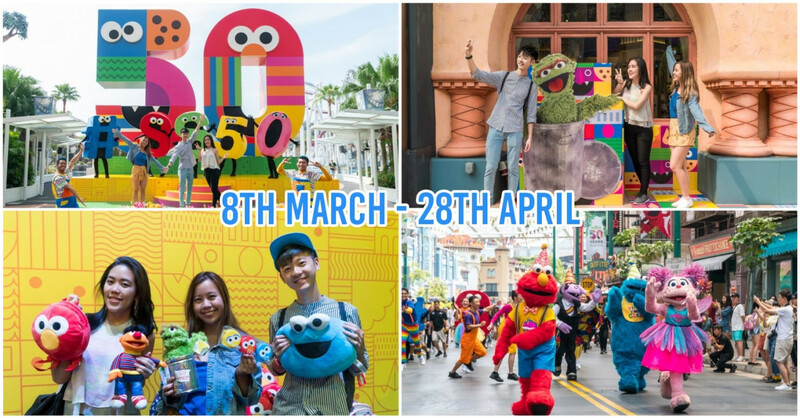 Plus, if you want to stock up on enough CNY goodies to last you the 15-day festive period, head down to Fragrance's Factory Outlet at 60 Woodlands Terrace, where all their goods will be available for sale. 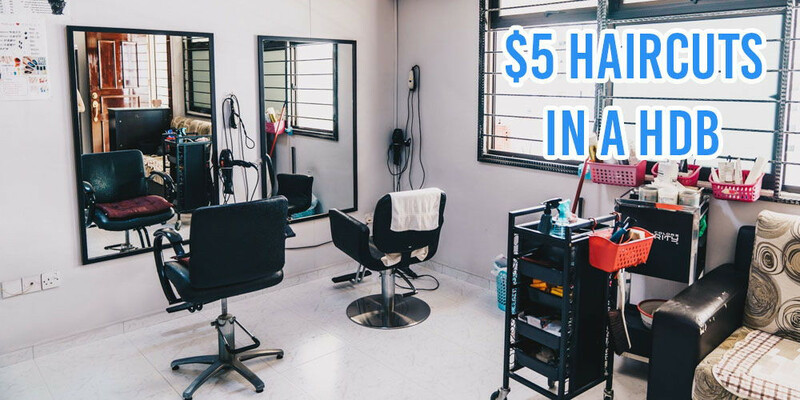 Prices at the Factory Outlet are guaranteed to be lower than at all their other stalls, and on top of that, there will be daily deals for different bak kwa. 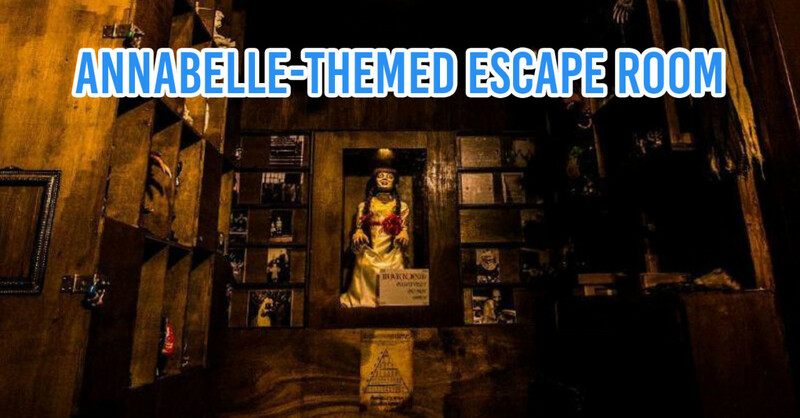 We won't know what deals are on offer till the day itself, so make a trip down and pray for the best! 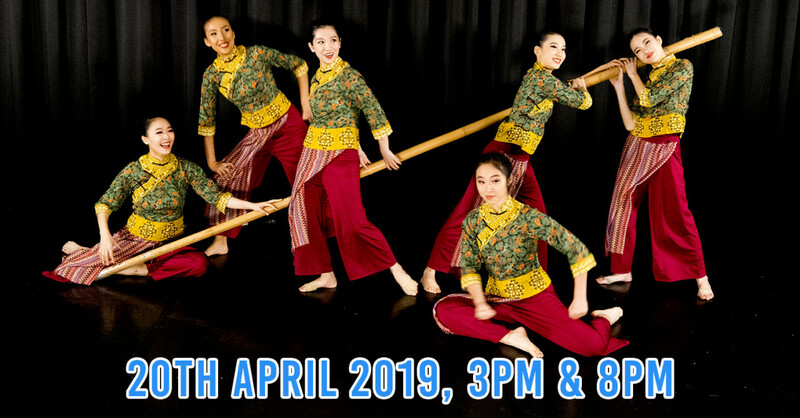 Find out more about Fragrance’s Bak Kwa here! 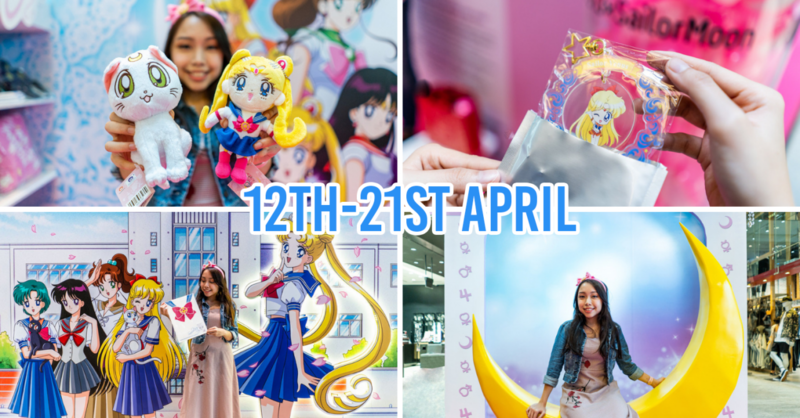 This post was brought to you by Fragrance.